Starhill Global REIT proposes conditional entry into new master leases for its Malaysian assets. Leases for Starhill Gallery and Lot 10 to be extended by 19.5 years and 9.0 years respectively. Starhill Global REIT to undertake a RM175m AEI to reposition the asset. 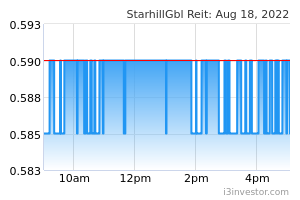 Neutral impact on DPU; Starhill Global REIT has flexibility to manage DPUs while gearing inches up slightly to 36%. STARHILL GLOBAL REIT (SGX:P40U) has announced the entry into new conditional master leases for Starhill Gallery and Lot 10 Mall located in Bukit Bintang, Kuala Lumpur. These properties contribute 11.8% of Starhill Global REIT’s property value and an estimated 16.6% of net property income for FY18 ended-June 2018. Due to expire in June 2019, the new proposed master leases will further extend the WALE for its properties in Malaysia by 19.5 years and 9.0 years for Starhill Gallery and Lot 10 Mall respectively. The combined new master lease rent (upon completion of the AEI) is estimated to be 1.5% higher (or +RM1.3m) than the existing master lease rental level. Coupled with in-built periodic rental escalations (every three years) through the tenure of the new master leases, this will provide Starhill Global REIT with a steady growth profile over time. We understand that the new rent levels are in line with independent appraised valuers' rent levels that the REIT is able to achieve at the Bukit Bintang vicinity. In conjunction with the agreement for the proposed extension of the master lease at Starhill Gallery, Starhill Global REIT will undertake an asset enhancement initiative (condition for the extension) to reposition the ageing mall with a refreshed concept, improving tenant visibility and also activate unutilised space within the mall. It also involves the conversion of the top 3 floors of the mall into hotel rooms as an extension to the adjoining JW Marriott Hotel. This AEI will cost RM175m which Starhill Global REIT will bear and will be completed over two years. During the course of the AEI, the Sponsor will also provide a rent rebate of an estimated six months' rent per annum or RM26m a year, which will help to cover the disruption in earnings as the asset undergoes the transformation. 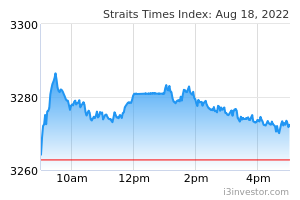 Gearing to increase slightly to 35.5-36.7% over time as Starhill Global REIT undertakes the works. a higher percentage of management fees to be paid in units (fully in cash as of now). We believe this extension to provide the well-needed long-term income visibility and certainty for its Malaysian assets. These properties had generally lagged in performance given the increasing competition in the Bukit Bintang area over time with the main competitor Pavilion Mall (just next door) being the main draw for shoppers. A defensive capex to better compete. In addition, the repositioning is defensive in our view as it will enable the assets to compete well against supply in the Bukit Bintang area, which is also building up with the TRX Mall, Merdeka PNB 118, Bukit Bintang City Centre and Latitude 8 expected to complete over 2018-2023 and will likely exert rental pressure on the REIT over time. Moreover, the master leases will shield the properties from any downside reversion in rents.